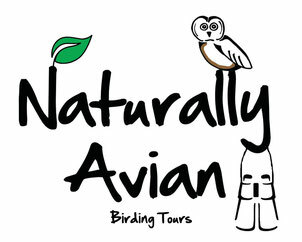 Be sure to check out the Naturally Avian facebook page! Here you'll find updates on the birding tour happenings, bird photo quizzes, birding presentation dates, and the birding festivals where Naturally Avian can be found! Feel free to send me a message below with trip inquiries, and any other questions you may have. Good birding! Are you interested in an exciting birding trip? Do you have questions about birds? Let me know, in the message box below.